Comparative effectiveness research is the direct comparison of existing health care interventions to determine which work best for which patients and which pose the greatest benefits and harms. The evidence is generated from research studies that compare drugs, medical devices, tests, surgeries, or ways to deliver health care. Using the evidence from comparative effectiveness research, physicians, surgeons, and care givers of any type should be able to make informed health care decisions. Identify new and emerging clinical interventions. Review and synthesize current medical research. Identify gaps between existing medical research and the needs of clinical practice. Promote and generate new scientific evidence and analytic tools. Train and develop clinical researchers. Translate and disseminate research findings to diverse stakeholders. Reach out to stakeholders via a citizens forum. Most people visit the doctor when something is wrong (e.g. they do not feel well, they have unexplained symptoms, they have been diagnosed with a disease and have been referred, etc.). These patients come to the doctor expecting to receive a well-informed diagnosis and treatment plan because they choose to put their trust in their physicians. After all, physicians have had years of training and education, and they are expected to be the expert. However, patients must also take a role in their healthcare. People will spend hours researching who to trust for car repairs, home repairs, and investments; yet, they are often quick to simply go with whatever their physicians tell them. Some treatments will not work for everyone, and some treatments will work better for some people than others. Comparative effectiveness research can help identify treatments that are best for each individual patient. 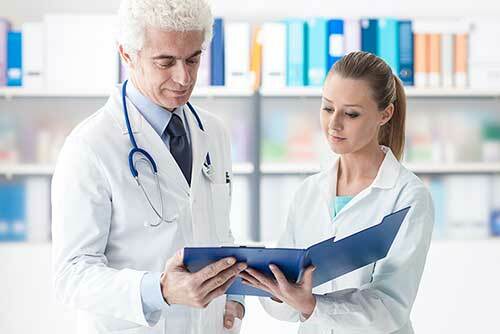 Patients deserve the best and most objective information about their illness and the best possible treatment choices. Medical history, the severity of a condition or symptoms, personal or religious values – these are all different circumstances that make each patient an individual. Comparative effectiveness research allows physicians choices. They offer an important tool for the physician and the patient to understand the facts, benefits, and risks about different treatments.